The eagle-eyed among you will notice this blog has had a bit of a spruce up – a touch of white here, a new logo there, mobile and iPad compatibility. How very swish! Would you believe it’s been three years since the last post on this site? Importantly, I’d like to thank the many tens of thousands of you that have continued to pour into the site, even over its dormant period. Thank you all and thank you for the stream of comments and emails that have continued to hit my inbox. Three years may be an eternity in the world of technology, but over that time, some of the most exciting developments in the Mega Drive’s modern history have been witnessed. It’s 2018 and the Mega Drive still lives on. Incredible. So, welcome dear retro gamer to the all-new Megabites Blog! Come on in, blow the dust from that cartridge, hit the power button and let’s begin this new game. Avert thine eyes! Nintendo alert! Once more, this site is graced with imagery of Sega’s mortal enemy, and for that I apologise. 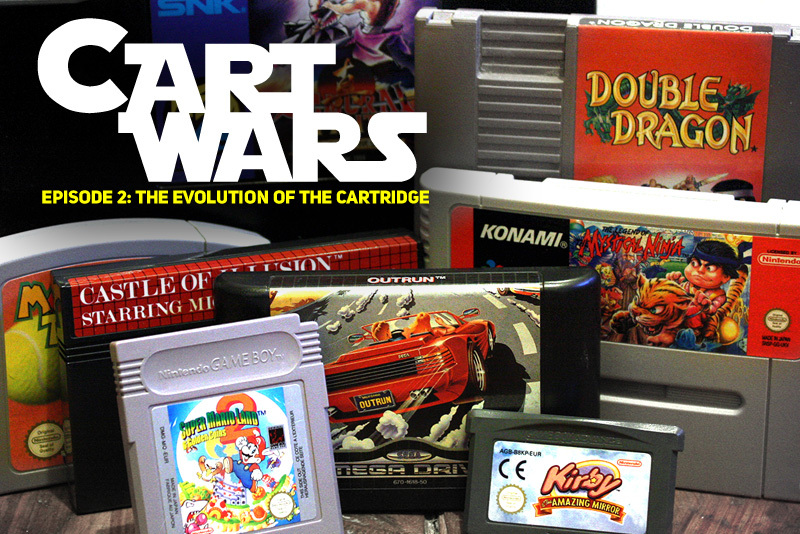 However, it’s all for a good cause – MegaBitesBlog.com’s latest article on RetroCollect.com – ‘Cart Wars: The Evolution of the Cartridge, Episode 2’.